What a fantastic, inspirational, beautiful book – definitely different, superb for use with any child who has experienced grief through the loss of someone or a pet, but also a brilliant story in its own right. In case you haven’t noticed, I REALLY like this book and highly recommend it! The photographs throughout the book are incredible and chosen to be highly indicative of the text. The story itself concerns how Chippy the Chipmunk copes with the loss and death of his best friend, Pickle, a meadow vole. 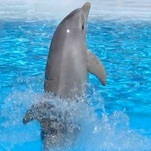 Initially Chippy doesn’t realise Pickle has died until other animal friends let him know of his friend’s fate. His friends help Chippy learn to express his grief and, after owls visiting his hibernation dreams, he emerges from hibernation with hope that life can get better. There is guidance for parents and educators to help them use this story to support children experiencing the loss of a loved one. It could easily be used on either a one to one or to larger group/class. It also contains information about the animals involved in the story, giving information about them that could stimulate further discussions and investigations, helping develop children’s awareness of their environment and the creatures that may inhabit it, too. This is the third book in the series, but the first one I’ve seen. I’ll certainly be looking out for the first two books and other work by this author who is a brilliant photographer, too! Thanks to the author, publishers and NetGalley, too, for letting me read a copy of this book in exchange for an honest review. 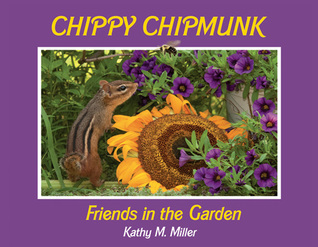 This entry was posted on January 16, 2015 by bicted in Children's book and tagged 5*, Adventure, Children's, Chippy Chipmunk, Friends in the Garden, Grief, Kathy M Miller, Life and Living, Nature, Picture, PSHE/Citizenship.